Dries Bros. 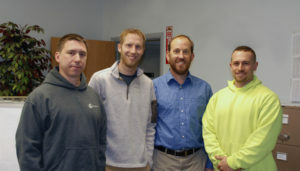 Plumbing is a family owned business that has been serving central Illinois customers for over 80 years. We have prided our selves on providing the first class service and expertise for both our commercial and residential customers. We are a third generation company that was started by Clement P. Dries and his brother in 1933. We specialize in the plumbing industry and can provide knowledgeable and experienced professionals to meet any project requirements you may have. We provide plumbing on New Commercial, Industrial, Institutional, Multi-Family, Retail, and remodels. We have completed projects ranging from $9 Million dollar direct bids down to $5,000 projects. We also work with everything from Hospitals to new homes. We are located in Peoria yet we do projects all over the area. Our service area includes Bloomington – Normal, Morton, Esat Peoria, Canton, Washington, Macomb, and surrounding areas. 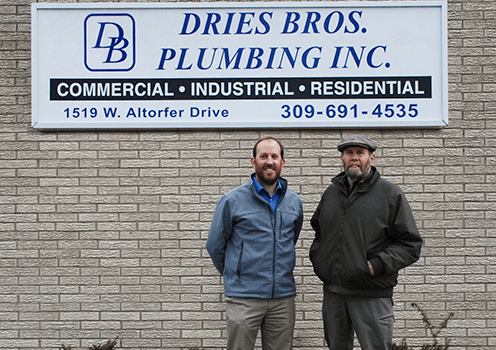 We are in the business of meeting our customers’ needs and look forward to the opportunity of performing your next plumbing project.